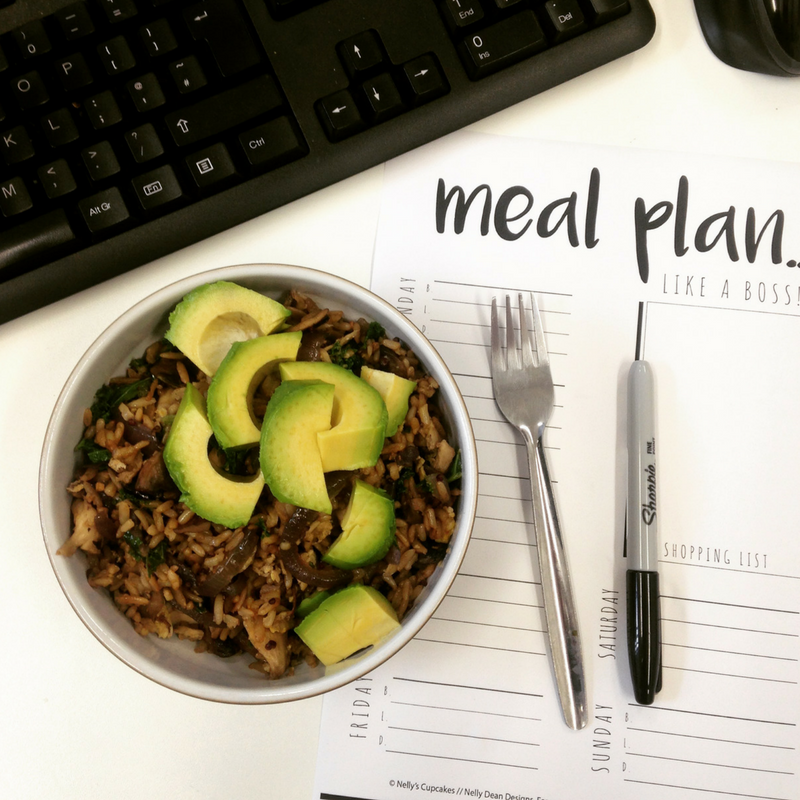 I have been posting fairly regularly on here about meal planning for the last couple of years. It is something I feel is really essential to not only cutting costs, but also keeping food waste to a minimum. On weeks where I don't meal plan I really notice a sharp increase in the number of top up trips to the supermarket, and also the amount we throw away. 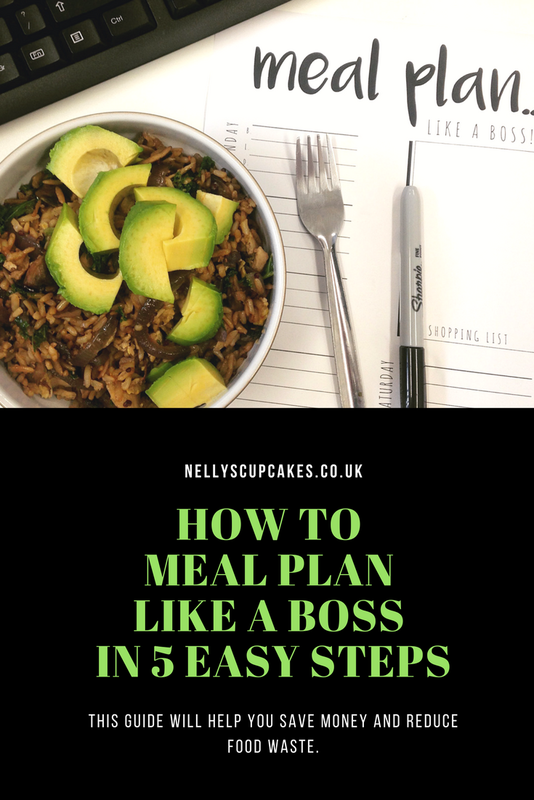 So for those of you new to the meal planning world or who are noticing your food bills creep upwards, I thought I would share some of my top tips so you too can MEAL PLAN LIKE A BOSS. Look in your cupboards! Before you even think about making a meal plan or shopping list, do a stock take. Got that packet of orzo you bought 6 months ago for that Jamie Oliver recipe you never got around to trying - use it! Got plenty of chicken breasts in the freezer that you always forget to defrost? Plan for it! I am so guilty of auto pilot buying pasta and chicken and tinned tomatoes - then getting home and discovering I have enough tinned tomatoes to feed a small country. Know your cupboards. If you have a rough list of what you already have when starting a meal plan, it is so much easier to then make a shopping list and avoid over buying or wasting food. Each week I plan 5-7 main meals, but you know, sometimes I get in at 6pm, get Zoe to bed for 7pm and really REALLY cannot be bothered to start prepping that delicious sounding chickpea curry I had planned... Those are the nights where having back ups stops us from reaching for Just Eat. Even cheese toasties, or tuna baked potatoes - those quick a easy meals can really save a meal plan. Our go to back ups are toasties or fish finger sandwiches. As I said above, you don't always fancy what you had planned, don't stress! While yes it is good to stick to a plan, flexibility is what makes the plan workable. Life happens. If you skip one particular meal, make a note and fit it into next weeks plan. If it is one of those dishes that's always getting bumped - think about removing it from the plan as maybe its just not working as a mid week meal? Could you batch cook it on a Sunday and freeze portions? The beauty of the plan is that it makes your life easier, if its not doing that, you're doing it wrong. When I first started meal planning I would spend hours on pinterest looking for wonderful recipes to incorporate and make my meal plan look enticing and delicious. It is all well and good have 5-7 wonderfully different meals, but what about leftovers? Don't underestimate the power of the leftover. For example if you are having a roast chicken on Sunday, why not incorporate the leftover chicken meat into Monday night enchiladas? Having chilli con carne on Thursday? Why not add some shredded lettuce and guacamole and have taco night on Friday? Firstly, you need to write it down, whether that is stuck on the fridge, calendar, shared family facebook group or even a blog (seriously my MPLaB posts are more for my benefit than anyone else). If like us, you work full time, have kids, different commitments each night etc... It is essential that everyone knows what everyone else is doing. You don't want to be slaving away on a family sized lasagne if half the family are out that night etc... As well as publishing on the blog, I have a stash of my Meal Plan Printables which gets stuck up on the fridge each week, it also includes a section for a shopping list so when we run out of something we make a note for the next week.So there you have it, my top 5 tips! I would love to hear any additional tips and tricks you have learned. Gift Guide for the Colourful Mamas in your life. Our Perfect Little Wedding Day.